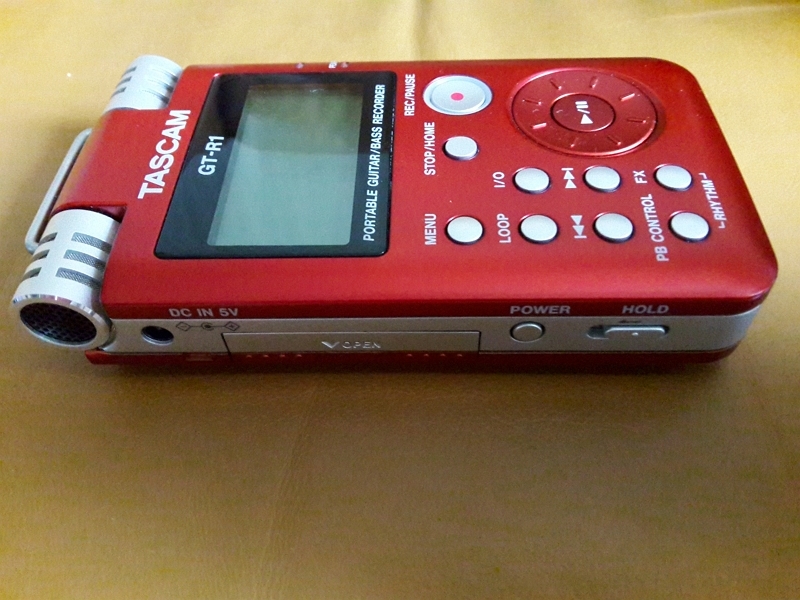 GT-R1, Pocket Recorder/Multitrack from Tascam. jul60's review (This content has been automatically translated from French)" advice?" Bateur in a rock formation (2Guit, Bass, Batt and vocals), we seek a working tool to save repet. I play on an electronic drum - everything is taken on an analogue desk and ask if the MUE branchemlent GT R1 is the most appropriate tool for this type utilisationn ???? marclr17's review (This content has been automatically translated from French)"Very good trainer for guitar and bass, but ..."
Basically, it is a trainer for guitarists and bass players to play songs and to register. We can play on an existing music (rcupre on the net mp3 for example (*), and sent on the GT-R1 USB or via the included 2GB SD card (not 1GB as we sometimes read)), but also on his own song, or add parts of pre-existing songs (a recording of his own group via the microphone ...). It integrates 88 preset rhythm patterns, but beware, it&#39;s not a rhythm (misleading advertising) box is ultra-simplistic, one can rgler the tempo! You have to see these patterns as a metronome evolved: the beeps are replaced with rock rhythms, pop etc ... but no more. However, serves well as a base for create a new song the guitar rapido. It has "55 multi-effects with rglables parameters, you can assign the signal between or recorded signal (pub foutage of mouth.) The main problem of this machine is here. In Actually, there are 55 sims amp guitar and bass played 5 times in the same five banks A E. These sims are very poor quality (a thread is open about it in the forum), and if we save the shot by ditant and paramtrant each his taste, which is much less worse, the problem is that you can not save them! Or more pr cisment, we can save one per bank (so 5 in all) because if we stay in a bank gives on this preset, it is sauv (even in changing banks), but soon as we change the preset INSIDE A BANK, one loses the mods made to the preset said ... Very strong ... So Tascam basically, if you ditables 5 presets enough, it&#39;s ok, otherwise you have to look for another model, and it is not obvious because there is little (no) competition for this product. One can vary the playback tempo of a song without changing the tonality and it&#39;s very very handy! Perfect for dcortiquer fast riffs and play over a human speed etc ... ESSENTIAL! We can "attnuer guitar, bass and other sounds that contain existing songs." I test on 20 tracks, this stuff does not work at all, the sound that comes out is totally pourave, so we forget. The loop function is a dream: you can loop the passage you want in a song, even a very very short transition, and entraner play along, c &#39; trsgnial is really useful and hyper! "It integrates a strophonique microphone with variable angle of registration" means the quality of the recordings via the built-mic is excellent, it is a joy. Perfect for the sound of a group repeats for example. "A between external microphone, one between and one output line level" very convenient, saves an assignment table output, or dub samples the output of a DVD player etc. the quality ... is in between and output. The headphone output is right, which is impractical, and the camera is a little large to fit in the pocket of the shirt, so not always practical for positioning. 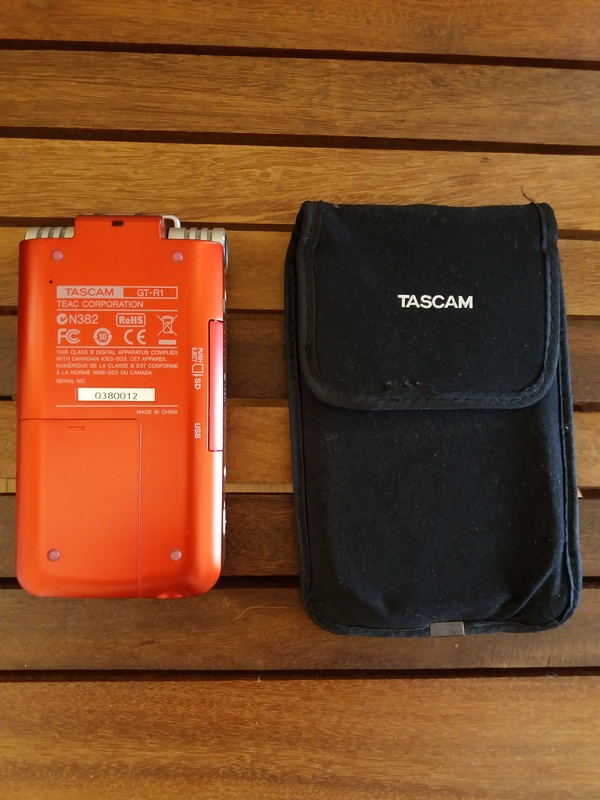 "The device is powered by a rechargeable lithium-ion battery, user replaceable AC adapter is available as an option?" Autonomy is correct, but time flies when playing, and 220V charger is completely essential. "Graphical LCD display, 128 x 64 pixel backlit light very readable and very practical, very well designed. The wheel allows, via the bar display the current song Representative, to walk instantly throughout the other in one piece, gnial for learning. Thomann bought new in October 2011 to 259 with blackjack cover, (275 with power supply) shipping included - used for 3 months - use of Pandora for 1 year before this model - I would resume this little Tascam if it has crashes. aude2's review (This content has been automatically translated from French)" My best friend"
I use it for over a year. There is no equal in other brands now. I like everything except the limited palette of rhythms but you can put beats to mp3. Expensive but huge timesaver! Top quality product! If I break, I run into a purchase. The trainer we always dreamed that one day invents a box! 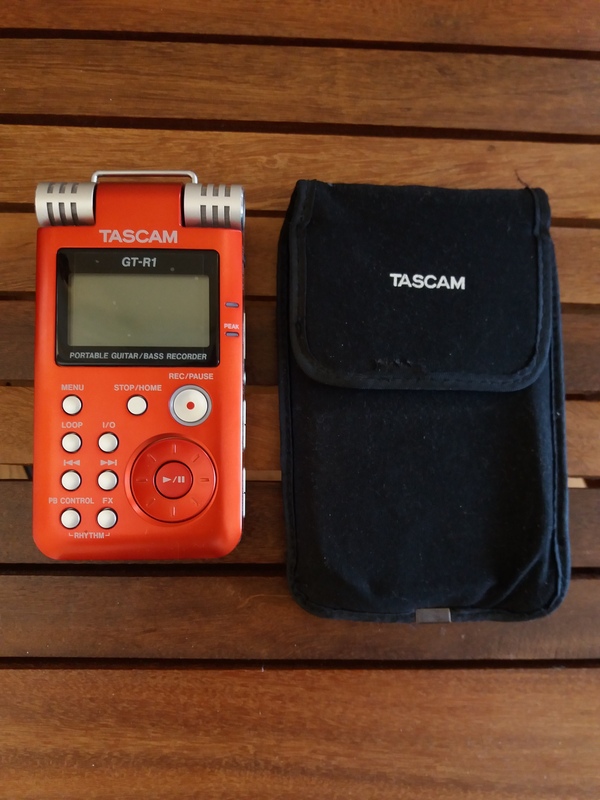 Tascam thank you! First test repeated with the following training: guitar + bass + drums + vocals + sax ... Simply stunning! Here is a link to listen ( http://www.boregar.org/goldengroove/public/music/Repetes/2008-09-14/Sookie.mp3 ) . The setting of input level, associated with the limiter gives a result that exceeds my expectations: placed one meter in height, facing the drums with the guitar on one side and low on the other, I get a very good presence frequency of each instrument and an excellent distribution stétéo. 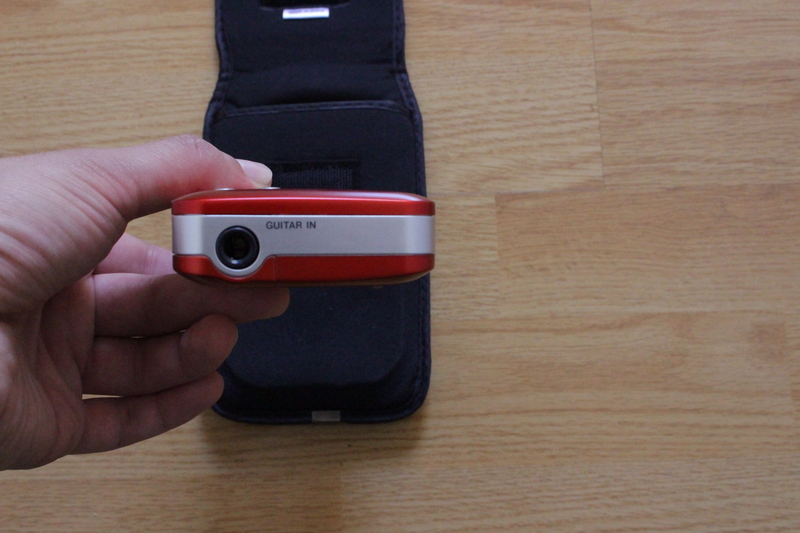 I made some test recordings with Philips MP3 recorder, but the tiny microphone did not provide satisfactory or usable. The record of our sessions so far required hardware. So the first real recording that combines everything I wanted: compact, lightweight, simple, excellent, plus all the possibilities to work with features associated with the guitar input. After more than two years of loyal service, the choice is confirmed. I put a few recordings under different conditions in this post ( https://fr.audiofanzine.com/enregistreur-poche/tascam/GT-R1/forums/t.304142,news-tascam-gt-r1,p.5.html ) . Robustness side, I lost count of the logs as mine took by force from falling and being carted in extreme conditions (usually in bulk to the bottom of a bag or pocket, exposed to shocks, changes climate, humidity and temperature hostile ...), and the only damage done is paint chips and the disappearance of four small rubber feet. I think this tool was designed by guys who really use it (and traveling), and it is rare enough to be stressed! 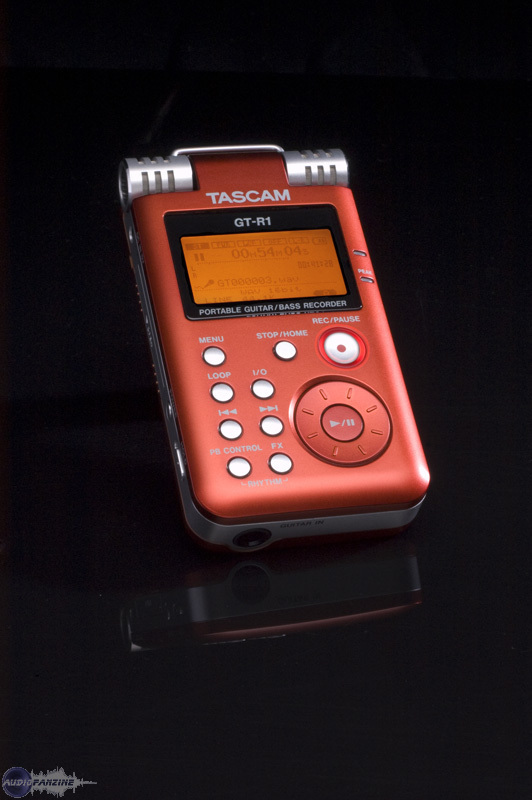 TASCAM has launched the GT-R1, a new portable recorder for guitar and bass players.